A slice of lemon cake along with a latte and an espresso. A cortado from Starry Night. Nestled next to Kilwin’s Chocolate on College Avenue, Starry Night Espresso Cafe crafts a cozy, warm environment perfect for the Fort Collins student population and locals alike. A rather small cafe, it offers table seating and arm chairs for its guests. The atmosphere is always fairly quiet, which makes it perfect for studying, and the large front window lets in natural light. Chess is available for playing, and the system of busing one’s own dishes lends well to the laid back, stay-aslong-as- you’d-like-attitude. Starry Night offers the typical espresso beverages, from lattes to cappuccinos, but it also offers more unique blends. Other drinks available include spicy Bhakti Chais, creamy Con Pannas, fruity smoothies and refreshing Italian sodas. A Con Panna is a shot of espresso over whipped cream, which I have yet to see offered in other Fort Collins coffee shops, and Bhakti Chai has a heavier emphasis on ginger and other spices than the sweeter Oregon Chai, which is also offered. 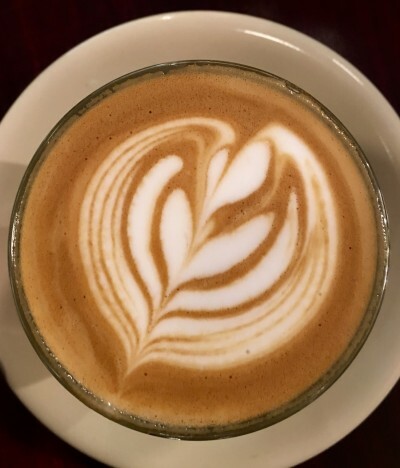 The cafe uses award-winning, locally roasted, fair trade CODA Coffee to blend its beverages, resulting in a rich and flavorful espresso that isn’t bitter. I’ve never had a drink from Starry Night that had the sort of burnt flavor that some espresso drinks can have. The baristas often craft leaf and heart patterns in their foam on lattes and the like, giving a personalized touch. If you order your coffee to stay, it will be served in a welcoming cup and saucer, perhaps with a small spoon. My personal favorite order would have to be the 4-ounce Cortado, an espresso that is cut with a bit of warm milk and served in a small glass. Aside from the delightful coffee, Starry Night also offers a breakfast and lunch menu of light fair. Sandwiches range from an earthy grilled brie and thyme to a zesty grilled turkey jalapeño for lunch, and breakfast includes a quiche of the day and vegetarian breakfast burrito. If à la carte is more your style, they also provide parfaits and bagels for patrons on the run. Arguably one of the best features of the cafe is its selection of desserts made by the in-house pastry chef. Offerings range from brownies and blondies to bars and cakes. The layer cakes are moist and adorned with frosting that isn’t too sweet, and the pieces are always more than big enough to share. In my opinion, Starry Night has the best cake in town, and I always find myself stopping in to split one of its gigantic slices with a friend. The flavors change daily, but I have tried the mocha, a chocolate cake with coffee icing, the lemon with lemon curd between its layers, and the spice cake. I’ve also seen chocolate mint, carrot, and chocolate orange as well. Looking for another reason to try Starry Night? It offers a 10 percent discount to students as well as a frequent customer punch card to earn free coffee.